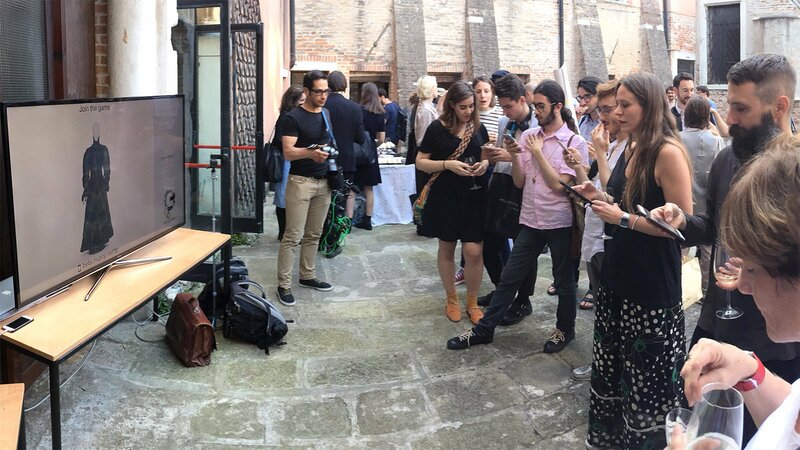 The symposium, in the fantastic setting of Palazzo Badoer, in the heart of Venice, gathered some of the most interesting case studies shaping their own practices in between the more traditional museum or archival practices with the new possibilities allowed by technology. Noterik proudly formed part of that, by allowing visitors to use our MuPop application to not only view samples of fashion through the ages, but also compete with others in answering questions about them. All of this by conveniently using their own smartphones to control the screen. The introduction of playful elements proved to be an added value to the already engaging MuPop application, and an inspiration for us at Noterik to make gamification a structural part of of our application development. We are not only enhancing MuPop in this manner, but are also using game elements in our tool QANDR, that turns group settings into more playful, engaging, efficient and productive meetings.